From ancient soldiers transporting the injured off the battlefield by chariot, to horse-drawn carriages being used as ambulances during the Civil War, emergency patient care has not always been delivered in the most efficient way. Fortunately, the EMS community has come a long way from the days of chariots and buggies. Thanks in great part to effective training through healthcare simulation, life-saving emergency medical services have advanced considerably in the modern era. Time-critical care is now provided to emergency patients at the point of care via rapidly-deployed helicopters, aeromedical transport, high-speed road vehicles and, even, by flying ambulance drone. At their best, emergency medical service providers assess and triage patients at the point-of-injury, out-of-hospital, and in-the-field where time is of the essence. Once stabilized, patients are transferred to hospitals where they receive advanced treatment and care. But before a patient can be treated in hospital, EMS and EMT crews need to first know how to effectively manage prehospital patient emergencies. Towards this end, the American Heart Association (AHA) has established the "Chain of Survival," a set of critical health care actions which, when implemented correctly, can help to save more lives. According to a 2016 report by the AHA, close to 60% of out-of-hospital cardiac arrest incidents (OHCA) are treated by EMS personnel. The rate of survival from OHCA decreases by 7% to 10% for every minute deployment of EMS is delayed. Improvements in training and timely access to out-of-hospital emergency care can greatly improve outcomes and survival rates now, and into the future. This is just part of the reason the EMS community is fiercely committed to strengthening advanced life support (or, ALS) through continued education, essential skills development, and constructive knowledge sharing. Simulation provides effective and realistic training that help EMS teams prepare for, and deliver, competent patient care during an emergency medical response. 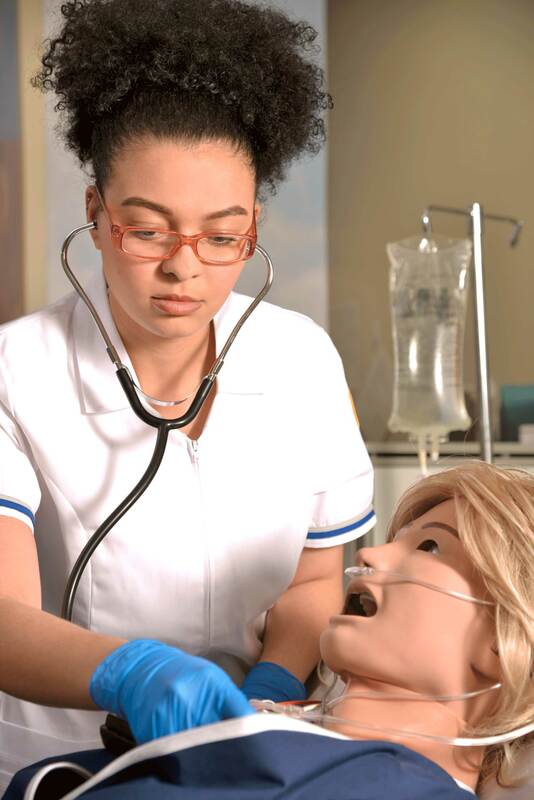 CAE offers a full line of highly-advanced simulation-based healthcare training equipment, patient simulators, educational resources and expert instruction for emergency care teams. With CAE Healthcare and simulation-based training in advanced life support procedures, patient outcomes following life-threatening emergencies can be enhanced and survival rates may be vastly improved. Ares is CAE Healthcare's solution to the growing demand for clinical programs, hospitals, and emergency services to fulfill requirements in Advanced Life Support (ALS) and Advanced Cardiac Life Support (ACLS) protocols. With the right mix of essential features for reliable simulation-based training in life-saving skills, CAE Ares is the mid-fidelity critical care training manikin on which you can rely. EMS World Expo in Nashville, TN. the largest conference and trade show of its kind in North America.